Tripoli: Fighting on the outskirts of the Libyan capital, Tripoli, forced the postponement of an international peace conference to reconcile feuding factions, in a major blow to UN efforts to heal rifts that are threatening to plunge the OPEC member back into civil war. We “cannot ask Libyans to attend a conference to the backdrop of artillery shelling and air raids,” he said in a statement. 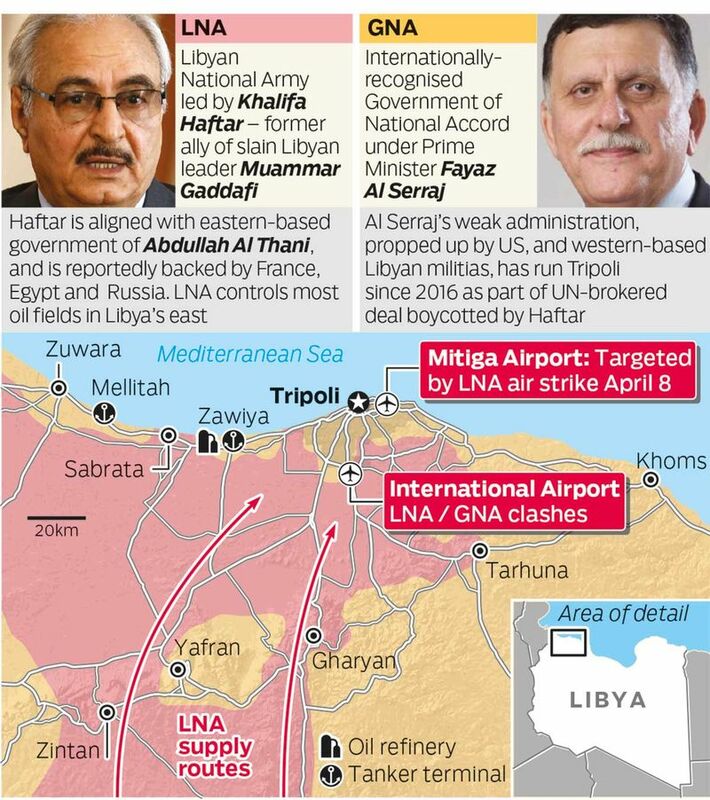 The Libyan National Army under eastern military commander Khalifa Haftar have pushed their offensive on Libya’s critical northwestern region in recent days, where they have run into opposition from militias allied with the internationally recognised government of Prime Minister Fayez Al Al Sarraj. 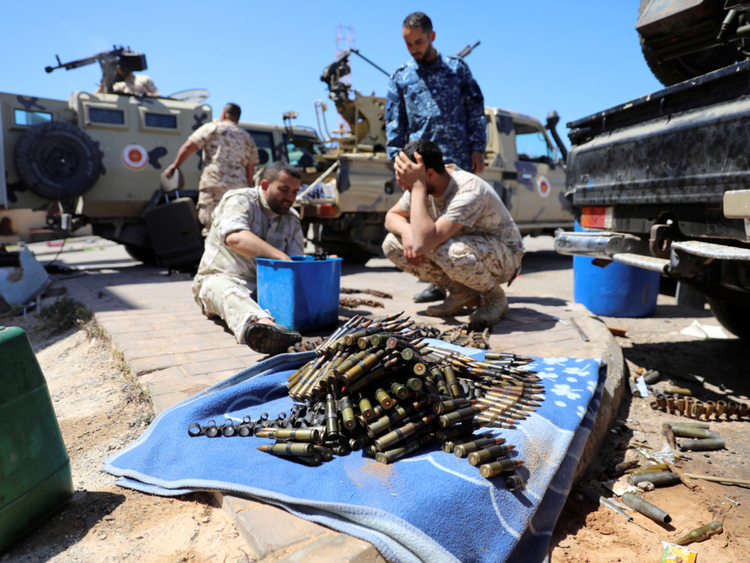 World powers have called on Haftar to back down or risk tipping the country deep into armed conflict. Libya slipped into chaos after the NATO-assisted removal of Muammar Qaddafi and has been ruled by the two feuding administrations and dozens of regional militias since 2014. The ensuing chaos provided fertile ground for the rise of militants, including those linked to Daesh. Tripoli, however, is viewed as the key prize, as it’s home to the state-run National Oil Corp.’s headquarters, as well as the central bank. Analysts have said Haftar could be looking to either strengthen his position at the bargaining table or to secure the funds he need for his forces—the country’s best organised. Attempting to take Tripoli involves huge risks. The Al Sarraj government, while not commanding major forces, has the backing of strong and battle-tested militias that have vowed to stand firm against Haftar. “Haftar is now risking the loss of the position of strength he acquired by taking control of the southern Fezzan region in February should his advance on Tripoli fail,” IHS Markit Middle East analyst Ludovico Carlino said in a note. There are no signs at the moment of an end to hostilities.